Gardens are tricky. 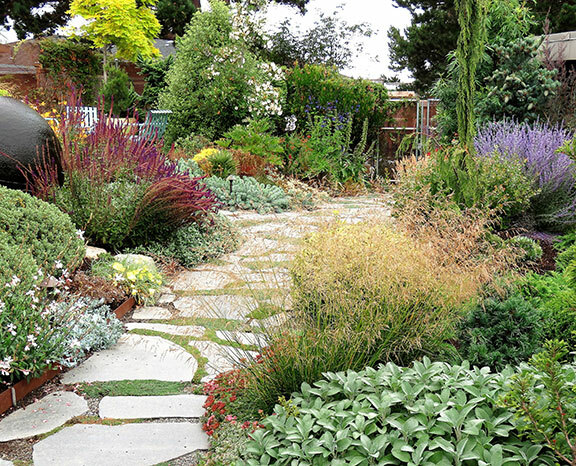 Different materials and surfaces overlapping in an outdoor environment can create ongoing maintenance challenges in your garden as well as being aesthetically displeasing. 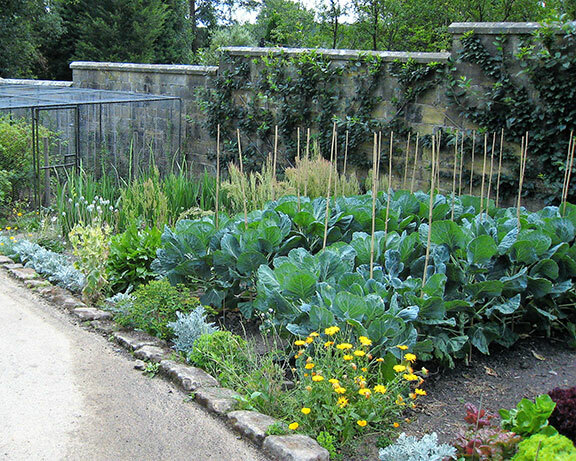 Disappointment can be avoided if the need for edging is recognized before your garden is installed. In addition to its practical functions, edging can be aesthetically appealing, providing clean demarcation between elements. Edging provides a controlled transition between changes in grade and materials. 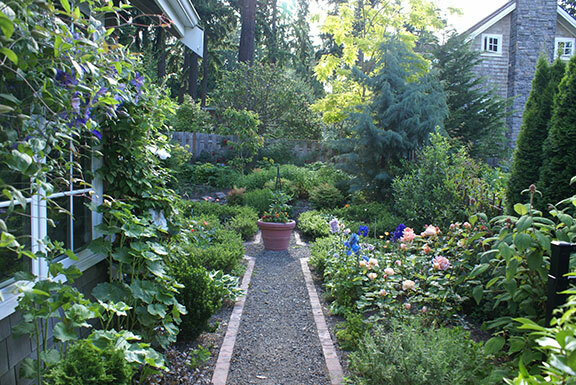 It is often used to keep materials, such as garden soil, in the garden bed, versus spilling out onto a pathway. It is essentially the equivalent of a low wall, even though it might barely rise above the surface of the ground. Poured concrete—A simple edging solution is poured concrete. Once in place, it is attractive, permanent, and should be maintenance free. Some larger masonry contractors have a special machine that extrudes the concrete edge without having to create forms, saving both time and cost. Mortared materials—Cobblestone, brick, concrete pavers, etc., are all suitable for edging. An advantage of mortaring the edge is that it ensures the pavers stay in place. Dry-laid edgings—Numerous materials can be used to create an unmortared edge. 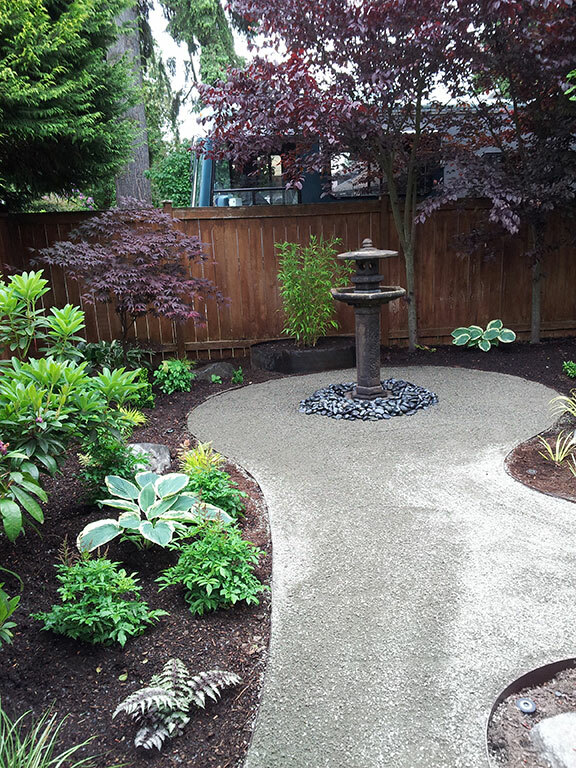 Stones, boulders, pavers, logs, driftwood, 4x4s, bender board, etc., are all potential edging materials. The result can be refined or relaxed and whimsical. Some materials will last forever, while others will break down over time. This is often an affordable option as well as one requiring less professional skill, though expertise in both design and installation can make the end result more satisfying. Metal—There are numerous metal edging options. Topping the list has to be steel. When installed well, steel is strong and durable and adds a clean, modern touch to your landscape. Like other metal edging, it also takes up little room, so it's a good option if space is at a premium. It is available in various heights, lengths, and thicknesses. A typical choice would be 1/8 inch by 5-foot flat bar stock, which is available at most commercial steel suppliers in the Seattle area. Many contractors cut pieces of 1/2 inch by 18-inch rebar to secure the edging in place. Although steel is a great choice for garden edging, it is heavy and unwieldy, so experience with the material and welding expertise are critical. Other metal edging products are available that are easier for a homeowner to install. EverEdge Classic™ is a galvanized steel edging product from Canada that is available in short, easy-to-install strips. 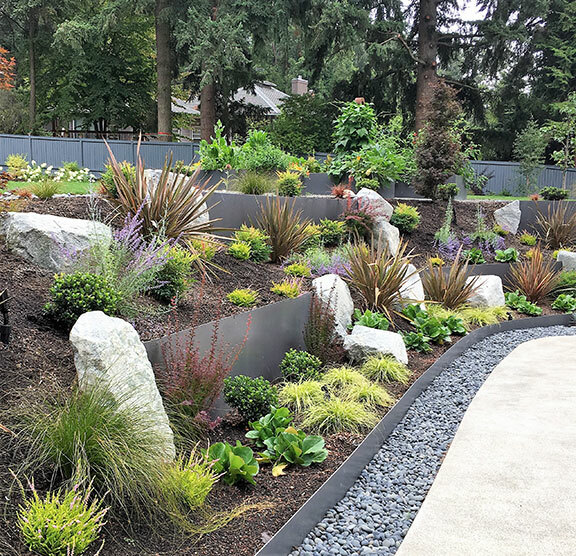 Similarly, Sure-Loc™ steel edging comes in a variety of pre-cut sizes and can be ordered through Pavingstone Supply in Seattle. Aluminum edging is more flexible than steel, which makes it easier to install but more difficult to keep in place. Sure-Loc manufactures aluminum edging; other widely available aluminum edging products include Permaloc™ and EasyFlex™. Plastic and rubber—Plastic and rubber edging products are widely available and easy to install. These packaged products can be placed on the soil surface, and everything needed to install them is included. EasyFlex™ No Dig Edging is a recycled polyethelene product that comes in 50-foot lengths. 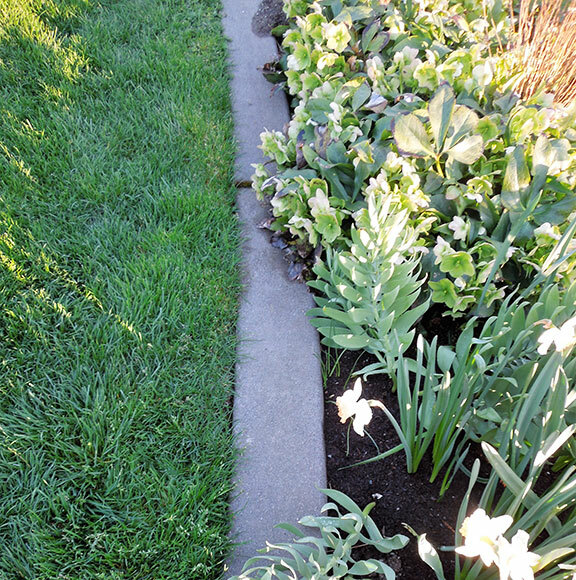 Other plastic edging products include Black Jack™ Poly Lawn Edging and Pound-In Edging™ from Green State Gardener in Vermont. 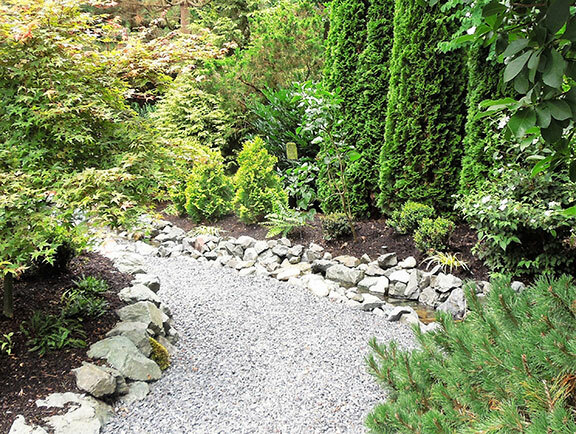 EcoBorder™ Black Rubber Landscape Edging is made from recycled tires, and landscape nails are used to secure it in place. Other materials—When it comes to edging, think outside the box. Perhaps a visit to a center that offers salvaged materials will inspire you. One intriguing product that can be used for edging is Richlite™. This eco-friendly product is made from post-consumer recycled paper. It is durable, waterproof, and suitable for outdoor applications. It is available in several colors, thicknesses, and sheet sizes. The Pacific Northwest distributor is Edensaw Woods in Port Townsend. 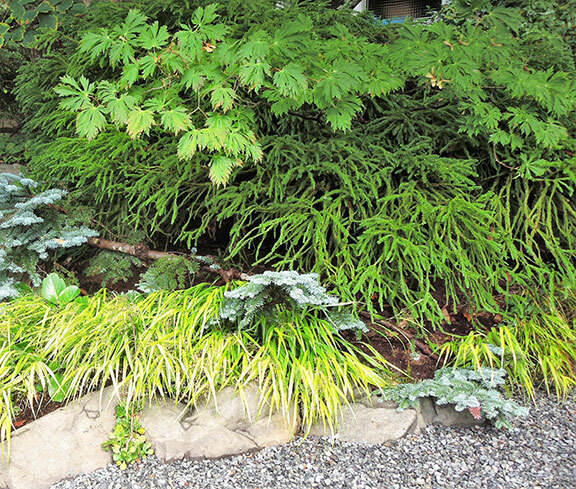 The first question you need to ask yourself is whether your landscape needs edging. If you conclude it does, your next task is to determine what kind of look you prefer and what your budget will allow. 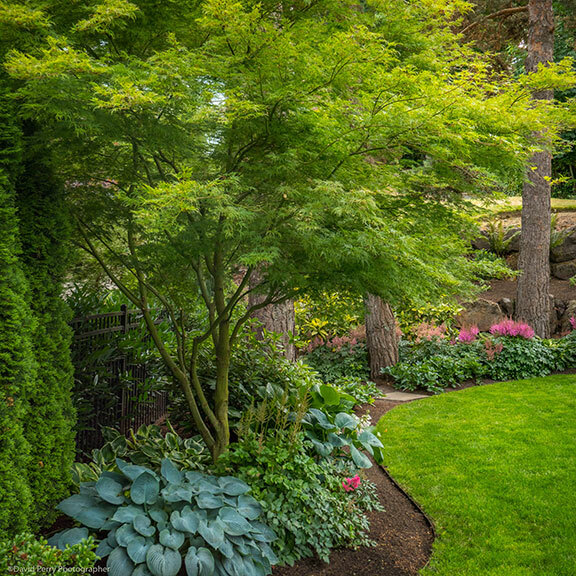 Engaging the services of a landscape designer can simplify these complicated decisions.